We are getting into the realms of repetition now. This is Azhar Ali’s second test century of the year, and he is the second man to make 117. Steve Smith has both of these attributes, if that’s the right word, already in 2015. The great shame with that means I can’t tell the story of the first 117 again, scored by WW Read in 1884, from the highly regular batting position of number 10. Read about here on the Steve Smith 117 on HDWLIA. This is the 70th score of 117 in test matches. Mohammad Hafeez’s Pakistani record against Bangladesh lasted a week. I had a hunch this man might get close when he rested overnight on 120-odd and so it proved. An old fashioned test batsman making a really high score to set his team on the right path. It’s time for some stats. This is the 15th highest score in tests by a Pakistani batsman and the 39th test double century. It is Azhar’s first test double, as he passed his previous best score of 157 made against England and Sri Lanka in 2012. This is his 8th test ton, half of which have come against Sri Lanka. He took his average from 41 to over 44 in this innings, and also passed 3000 runs in test matches. His previous best against Bangladesh was the 83 he made in Khulna in the previous test. I have done the Pakistan and Bangladesh stats to death already, so let’s look at the number 226. Have you seen one, Dmitri? Given there have been just 8 scores of 226 in test history, the answer is likely to be no, and so it is. There have been recent 226s in this country – Kevin Pietersen made one against the West Indies at Headingley back in 2007, while Jonathan Trott also made this score against Bangladesh at Lord’s in 2010. Azhar’s is the second in Bangladesh – Neil McKenzie made 226 at Chittagong in his record stand with Graeme Smith back in 2008. Bridgetown has seen two scores of 226, and both by Barbadians – Sir Garfield Sobers made one in 1960 v England, while Gordon Greenidge made his score against Australia in 1991 (when, if memory serves, they were thinking of dropping him for poor form). Brian Lara is the third West Indian to make 226, completing his effort in Adelaide against Australia (of course), while our history slot looks at the first 226, made in 1931 by someone who specialised in large innings. The first score of 226 was made by Don Bradman, and it wasn’t his usual foe (England) he made it against. This was made at Brisbane against South Africa, and his individual score was higher than both South African innings in this game (170 and 117). Bradman made 200 on the first day, and Australia made 450 in the first innings, but this test still managed to go SIX days (yeah, yeah, two of them were rained off) in a timeless match. Interesting that South Africa had a Morkel in their team…. 226 is the 136th= highest score in test cricket. Still the holy grail of 229 has not been scored in the history of tests (it must go soon, surely….). 228 still has been scored just the once (Herschelle Gibbs), while 227 has three instances, 225 has three, 224 has six, 223 has nine, 222 has five, 221 has five and 220 has three. Must be something about 223 and 226! 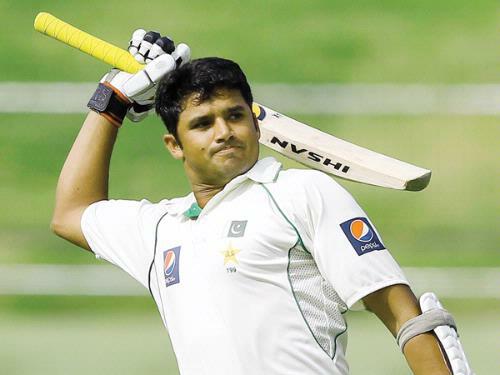 Azhar Ali’s 100 came up in 212 balls with 10×4, and his 200 came up in 406 balls with 19×4 and 1×6. His total innings lasted 428 balls with 20×4 and 2×6.